Rt. Hon. 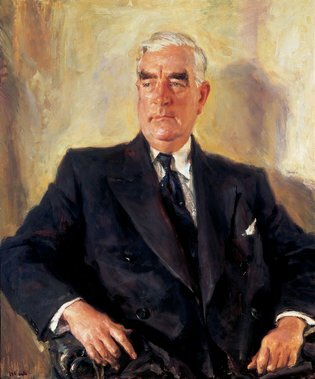 R. G. Menzies, P.C., C.H., Q.C., M.P. Dorothy Bradford - Sir Richard Harris, C.M.G. Lina Bryans - Frank Stone, Esq. Jack Carington Smith - Frank D. Clewlow, Esq. R Clements - Reverend L. G. Ball, M.A. Aileen R Dent - Major General A. C. Short, C.B., O.B.E. Dudley Drew - Very Rev. B. A. O'Farrell, O.Carm., Ph.D., S.T.L. Mary Edwell-Burke - Sir Hudson Fysh, K.B.E., D.F.C. John Barclay Godson - John Dease, Esq. John Barclay Godson - R. H. Moppett, Esq. Henry Aloysius Hanke - Robert Johnson, V.P.R.A.S. Henry Aloysius Hanke - Alderman The Hon. E. C. O'Dea, M.L.C. Robert Hofmann - Elizabeth Kirkhope, M.A. Edith L Holmes - Noel Norman, Esq. Graeme Inson - His Grace Dr. Mannix, D.D., L.LB. David Lawrance - J. H. Reynolds, Esq., M.A. Lucy Lee - S. F. Kellock, O.B.E. Montague McDonald - Air Marshall Sir Richard Williams, K.B.E., C.B., D.S.O. Graham Moore - Wally Peeler, V.C. David Nance - Reginald Hooper, F.R.C.S. William Pidgeon - J. E. Cassidy, Q.C. J H R Rousel - Mr. Aubrey Halloran, O.B.E., B.A., L.L.B. Arthur Rydge - G. K. Townshend, Esq. Joshua Smith - Wallace C. Wurth, C.M.G. Graham A Thorley - Sir John Behan, Kt.B., M.A., B.C.L., LL.D. Percy I White - Rabbi Dr. H.M. Sanger, Ph.D.
Reinis Zusters - William Ferguson, Esq.